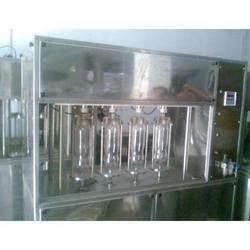 We are the leading manufacturer, exporter and supplier of superior quality Soda Water Filling Machine, which are extensively used for filling soda, soft drink and fruit bear. Manufactured using the best quality raw material and most advanced technology, these machine are designed with utmost precision in order to confirm to the international quality standards. 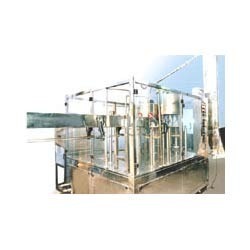 Our offered range of machine includes Rotary Counter Pressure Filling Machine, Automatic Carbonators, Linear Counter Pressure Filling Machine, etc. 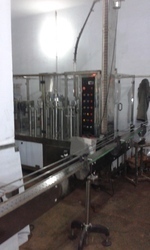 Our organization is enthusiastically engaged in offering premium quality assortment of Automatic Bottled Soda Water Filling Machine that is widely demanded for its salient features. Generally used for the production of carbonate beverages, this machine is precisely designed by our professionals following the quality guidelines defined by industry. 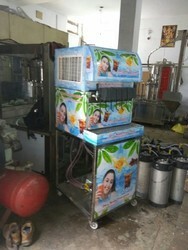 Offered in different configurations, this soda water machine can be availed at reasonable prices by our clients. 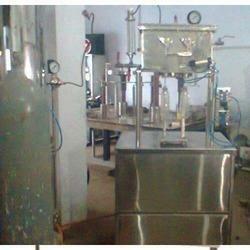 As the renowned manufacturer, exporter and supplier Automatic Soda Water Plant . 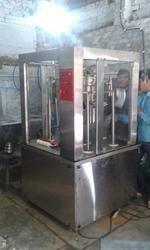 In order to meet the international quality standards, this filling machine is developed using the finest grade stainless steel and cast iron and by employing modern technology. 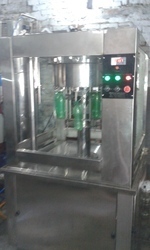 Suitable for filling of soda, soft drinks and other beverages, this machine is provided in various models and size as per the requirements of clients. 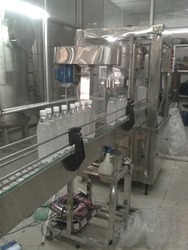 We offer our clients Pet Bottle Soda Filling Machine. Our offered machine is made from industry grade materials and advanced technology in compliance with set industry norms and standards. Moreover, our offered machine is strictly examined at each stage of production to ensure its quality and optimal performance. It is available with us in various technical specifications. 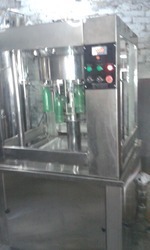 We offer our clients a qualitative and durable range of Soda Pet Bottle Filling Machine. 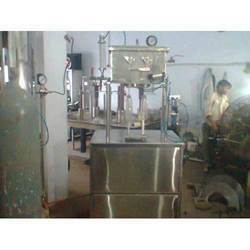 Manufactured by employing innovative production techniques, this machine is widely applicable in pharmaceutical, food & beverage and various other industries. Further, to ensure the optimum functionality of our offered machine it is tested based on rigorous quality parameters by our quality controllers. Our highly experienced technicians use innovative ideas in the manufacturing process of this range. 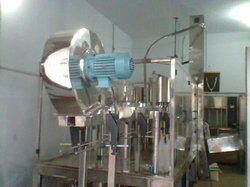 Backed by all modern amenities, we are engaged in offering Automatic Soda Water Filling Machine to the clients. Our offered product is manufactured utilizing superior grade materials for ensuring their robust construction and corrosion resistant finish. Our entire gamut is extensively used various industries and commercial establishments. 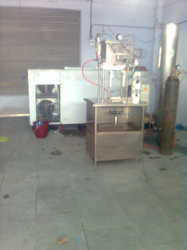 Backed by all modern amenities, we are engaged in offering Semi Automatic Carbonator to the clients. Our offered product is manufactured utilizing superior grade materials for ensuring their robust construction and corrosion resistant finish. Our entire gamut is extensively used various industries and commercial establishments. Made available to clients at the best rate possible, the offered Linear Counter Pressure Filling Machine has a high preference in the market. Manufactured as per the set industry norms and guidelines, quality of this product never deteriorates. Owing to the highest grade of raw materials used in its making, the product is amongst the finest in its league. 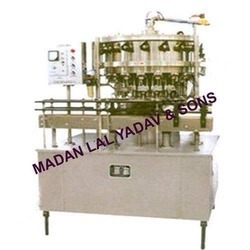 We are in these industry since 1968 & having huge experience & experts we manufacture all types of soda water plants our own at our works. . . . . . . .
we manufacture all types of soda & soft drincks filling machines both semi & fully automatic filling machines as per demand since 1968. 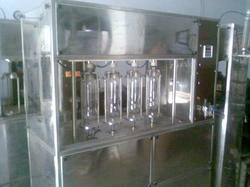 We are engaged in offering quality grade Soda Filling Machine. Our offered machine is manufactured from standard quality grade components and highly advanced technology in adherence to the highest industry standards. Moreover, it is available with us in various sizes as per clients’ specific requirements. 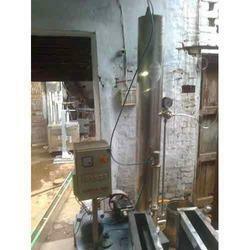 Looking for Soda Water Plant ?